Luxury silk seamed double 7 piece set. All double luxury 7 piece sets are made to order - please allow up to 4 weeks for delivery. 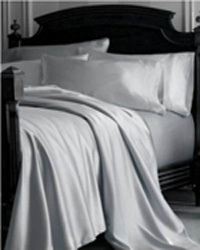 Please check out the rest of our bedding section for more double bed linen and bedding sets.